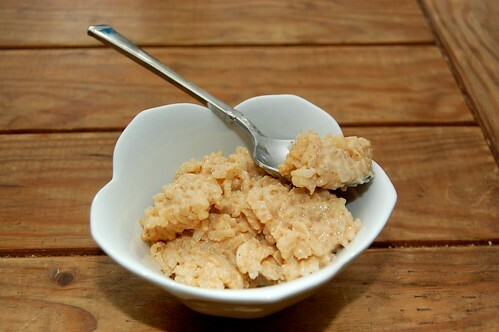 A few weeks ago Joy the Baker posted a great looking rice pudding recipe that planted a seed in my head. 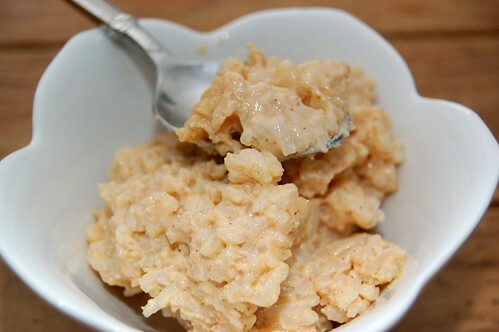 I love rice pudding, particularly Kozy Shack brand, and I couldn’t believe that I’d never tried to make it before on my own. But the pudding can scorch so easily. It’s a delicate balance of stirring continuously while keeping the heat low. It was relaxing and fun, though. And in testing different ingredients and styles I was able to use my favorite ingredient. It’s like creamy pumpkin pie, or a pumpkin spice frappuccino – just a hint of pumpkin and a lot of sweet cinnamon and cold milk. Next time I make this I might add more pumpkin (you know me) and milk to make it even creamier, but right now I’m just enjoying each bite of this sweet little treat (well, what’s left of it)! Cook rice in rice cooker or according to package instructions. Once rice is cooked, set aside. Add milk, sugar and salt to a medium pot. Bring to a low boil, stirring continuously so you don’t scorch the milk. Add the cooked rice and pumpkin and keep stirring! Add cinnamon and dash of cloves nutmeg. 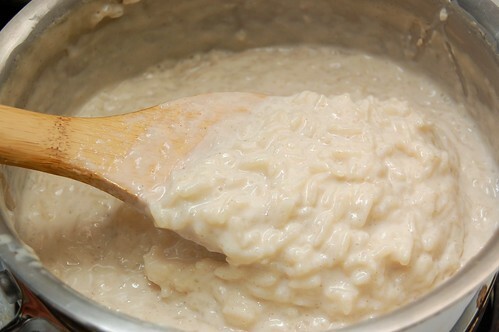 Keep stirring until the milk cooks down and the rice plumps, about 10 minutes. Make sure the heat stays low and that you don’t stop stirring. Remove the pot from the stove and pour pudding into Corningware or medium-sized bowl. Make sure you put an oven mitt or trivet underneath the bowl and set it in the fridge. Chill in refrigerator and serve cold. Note – During one of my prior attempts I used skim milk instead of whole and it the texture wasn’t quite the same. I’d refrain from switching to skim on this one.